May grace and peace be multiplied to you through the knowledge of God and of Jesus our Lord. May grace and peace be yours in abundance through full knowledge of God and of Jesus our Lord! May grace (God's favor) and peace (which is perfect well-being, all necessary good, all spiritual prosperity, and freedom from fears and agitating passions and moral conflicts) be multiplied to you in [the full, personal, precise, and correct] knowledge of God and of Jesus our Lord. [May God's] unearned favor and peace be yours in abundance, through the knowledge of God and Jesus our Lord. grace be to you, and peace be multiplied in the acknowledgment of God, and Jesus our Lord. may the divine favour and felicity be poured upon you, by the knowledge of God, and of our Lord Jesus Christ. Favor and peace be multiplied to you, through the knowledge of God, and of Jesus our Lord. Grace to you and peace be multiplied in the perfect knowledge of Jesus Christ, our Lord. God bless you and give you perfect peace through the knowledge of God and of Jesus our Lord. Grace with you, and peace be multiplied in the knowledge of God, and of Jesus our Lord. grace and peace be multiplied to you by the knowledge of our Lord. 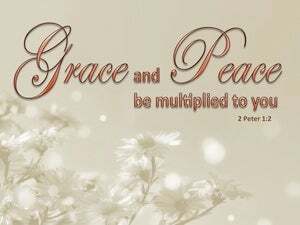 Grace and peace be multiplied to you by the God and Father of Jesus our Lord. 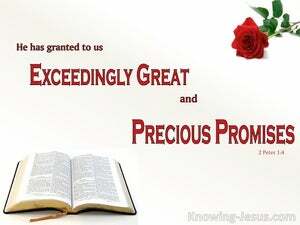 May grace and peace be lavished on you as you grow in the rich knowledge of God and of Jesus our Lord! Grace and peace be multiplied to you in the knowledge of God, and of Jesus our Lord. 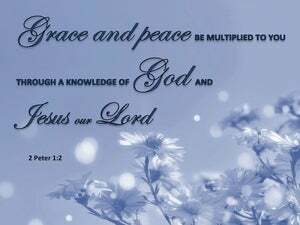 Grace and peace be multiplied to you by a knowledge of God and of Jesus our Lord. May blessing and peace be yours in ever-increasing measure, as you advance in the knowledge of God and of Jesus, our Lord. Grace to you, and peace be multiplied in the acknowledgement of God and of Jesus our Lord! 1 Simon Peter, a bond-servant and apostle of Jesus Christ, To those who have received a faith of the same kind as ours, by the righteousness of our God and Savior, Jesus Christ: 2 Grace and peace be multiplied to you in the knowledge of God and of Jesus our Lord; 3 seeing that His divine power has granted to us everything pertaining to life and godliness, through the true knowledge of Him who called us by His own glory and excellence. to all who are beloved of God in Rome, called as saints: Grace to you and peace from God our Father and the Lord Jesus Christ. May mercy and peace and love be multiplied to you. Then Darius the king wrote to all the peoples, nations and men of every language who were living in all the land: "May your peace abound! "All things have been handed over to Me by My Father, and no one knows who the Son is except the Father, and who the Father is except the Son, and anyone to whom the Son wills to reveal Him."